This attractive Double Layered Cold Shoulder Tunic is perfect for festive occasions. 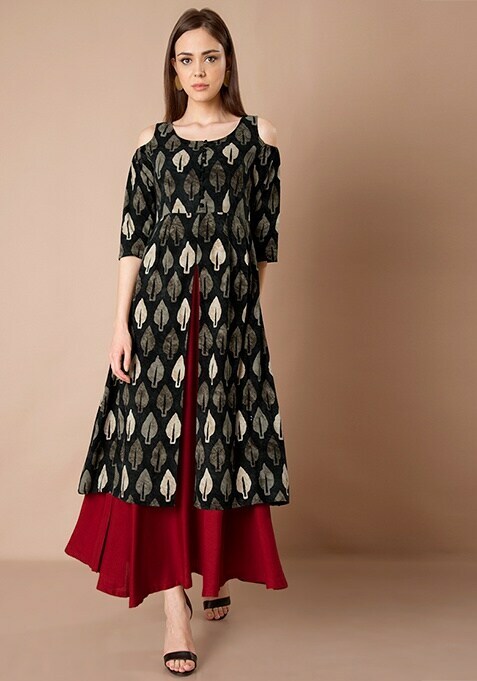 Plopped with interesting leaf print and highlighted with front slit detail and a skirt in oxblood hue, this piece is a must-grab. Work It- A pair of block heel sandals with strap and some contemporary jewelry will look great.